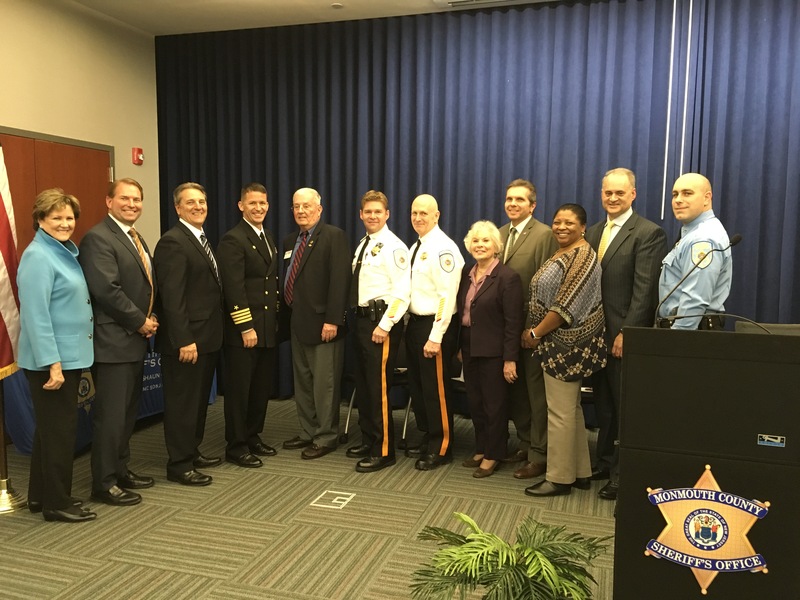 Freehold: The Monmouth County Sheriff’s Office was host to the Patriot’s Pride Awards ceremony on March 14, where those in supervisory roles at the agency were recognized for their exemplary support to employees who serve in the armed forces. Employees serving in the National Guard or Reserve, or a spouse of those serving, nominate individual supervisors for their unwavering support. 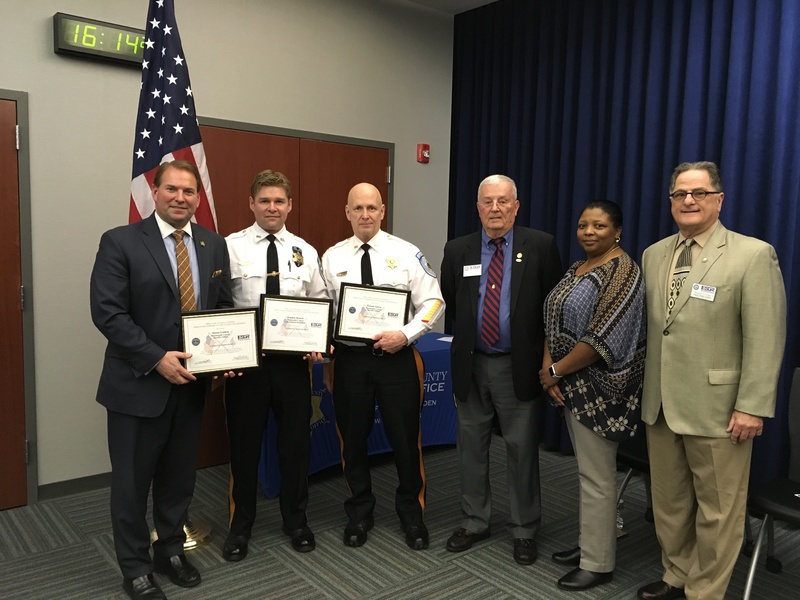 This year’s recipients, which included Lieutenant Stephen Riznyk, Acting Warden Donald Sutton an d Sheriff Shaun Golden were all nominated by Corrections Officers David Leventhal, Staff Sergeant in the National Guard. The Employer Support of the Guard and Reserve assists in coordinating these events throughout New Jersey and works with employers in an effort to support and value the military service of its employees and to ensure that reservists and National Guard members can return to their jobs from active duty. 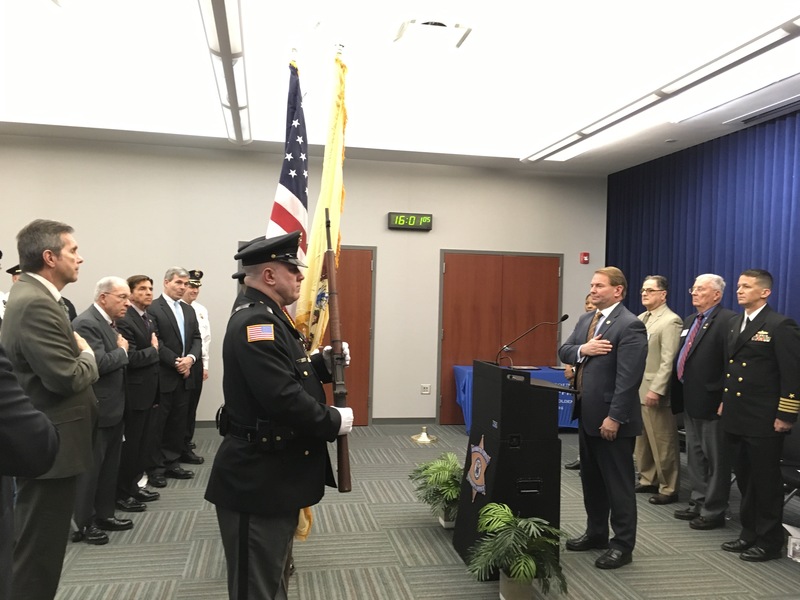 While performing military service, Monmouth County employees receive full pay for 90 days, and, after that time, they receive the difference in pay between the employee’s regular earnings and the military base pay for active duty. 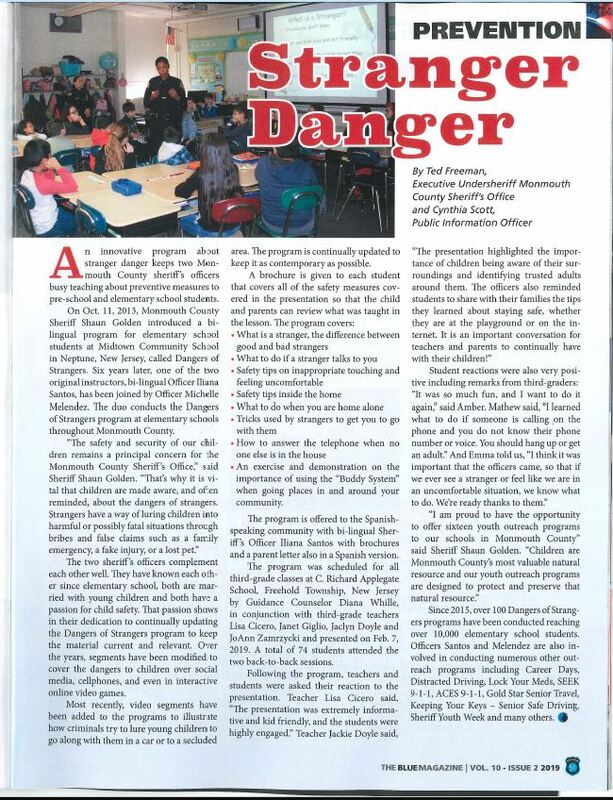 Families continue to maintain health benefits, and the Monmouth County Sheriff’s Office actively supports families who have to endure hardships when their loved ones are away. “An event like this reinforces our dedication, support and long term commitment, the sheriff’s office and the Monmouth Count y Board of Chosen Freeholders have to our citizen soldiers before, during and after their tours of duty,” said Freeholder Lillian Burry, liaison to the Monmouth County Sheriff’s Office, who attended the event along with the Board of Chosen Freeholders. 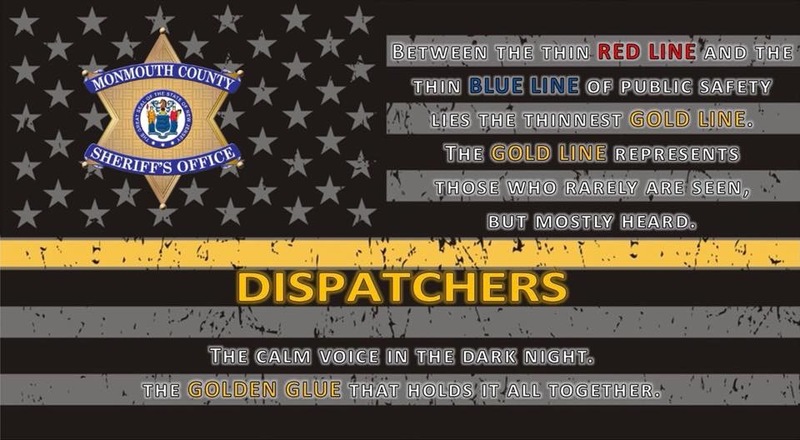 The Monmouth County Sheriff’s Office also acknowledged five officers from the agency’s law enforcement and corrections divisions who are currently serving on long-term active duty deployment, which includes C/O John Bork, C/O Diamond Taylor, S/O John Labozzetta, S/O Juan Cano and S/O Royston Hercules. Special thanks to Michael Ferraro, Assistant Veteran’s Service Officer – Monmouth County Sheriff’s Office, Monmouth County Surrogate Rosemarie Peters, the Monmouth County Board of Chosen Freeholders, Captain Brian Sheakley, Commanding Officer, Navy Operational Support Center Fort Dix and Rocco LiCalsi, Monmouth County Chairman – ESGR.